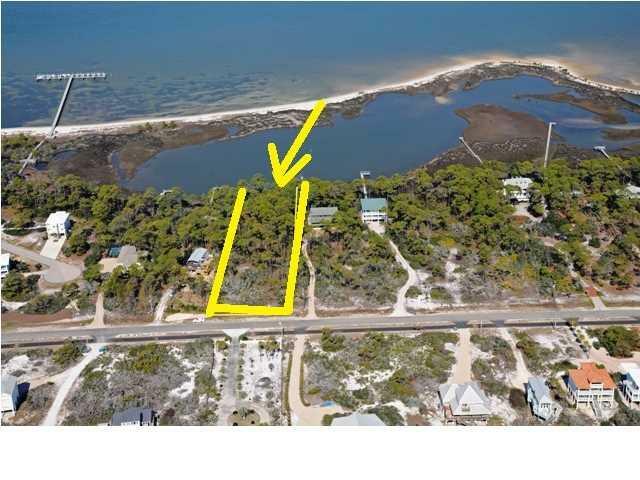 1.4 Acre waterfront lot with 130' frontage on a protected inlet off Apalachicola Bay. 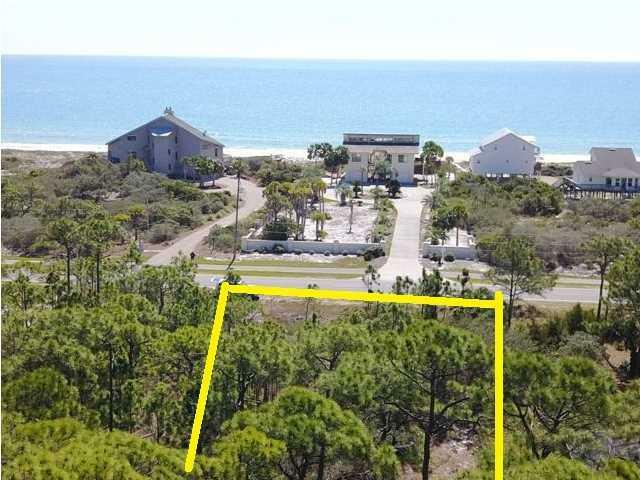 Located on St. George Island's quiet East End, this large home site provides the privacy and shade of mature indigenous trees, the sound of the surf from ocean and Bay, and balmy sea breezes. Throw a line into waters teeming with multiple species of fish and crabs. Kayak or canoe onto the open waters of Apalachicola Bay. 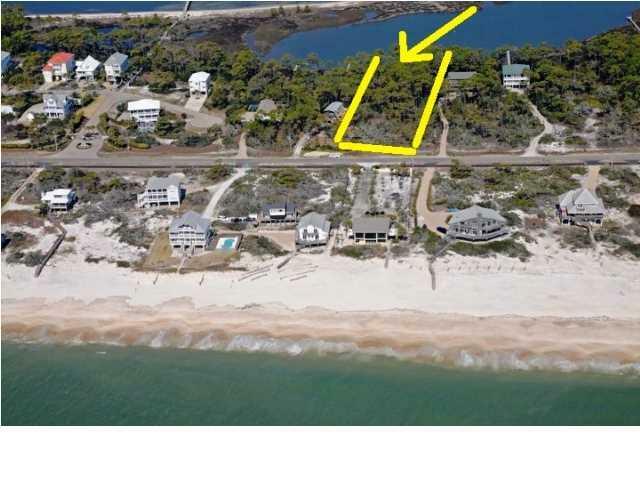 Stroll the white sand beaches of the Gulf of Mexico just steps away or cross the street to access miles of coastal bicycle path. 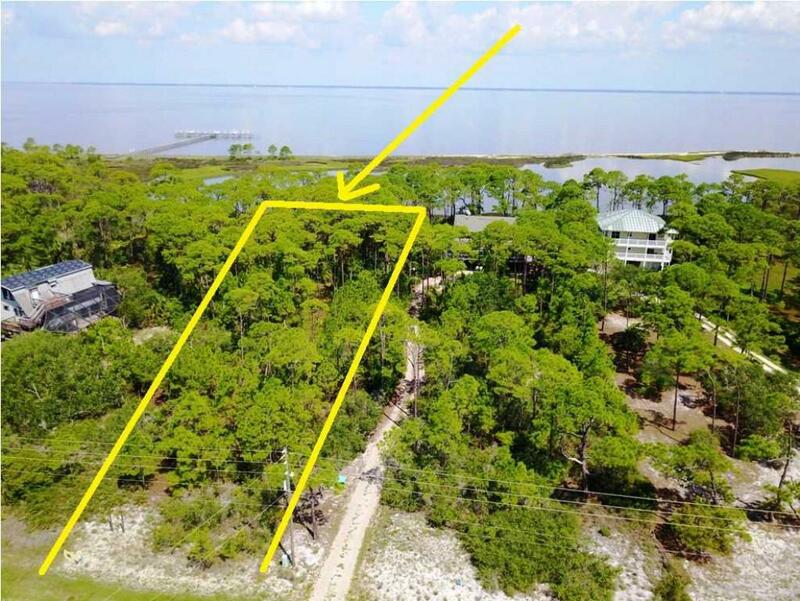 From elevated stories of a home built on this lot, turn to the south to watch dolphins jump on the Gulf or look to the north to watch boats traverse the Intercoastal Waterway. Best of all water worlds!